The 2015 DASC Championship Show will be held on September 4th – 6th. Last Day to qualify for the show is August 23rd. *** UPDATE *** Competitors may use the August 29-30 show to get their final qualifying scores **IF** their entries have already been submitted by the closing date – August 24th. In other words, send in your entry as if you are qualified, and if you do not get your qualifying score at the Spirit show, your Championship class fee will be refunded. A. Horse and Rider must be paid DASC members in good standing at the time of earning qualifying scores to be eligible to compete in the Championship Show. B. Horse/Rider combination must earn at least three qualifying scores from two different judges. Horse/rider combination need only earn one score at the freestyle level to qualify. 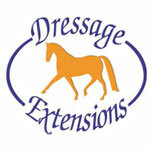 D. Horse/rider combination may earn scores at any test in the level to qualify. Horse/rider combination may only compete in two consecutive levels in any one year, i.e., First and Second Level, but not First and Third Level. F. Scores must be earned one division per rider. G. Show scores from DASC recognized schooling shows do NOT count toward the DASC Championships. I. Qualifying scores earned in open classes at the Championship Show WILL count toward the next year’s DASC Championship eligibility but scores in Championship classes WILL NOT. J. No whips are to be carried in Championship classes. K. Championship class tests may NOT be called. L. At no time during the show may any horse entered in a DASC Championship class be ridden by anyone other than the rider entered in that class (except for grooms on a loose rein). b. Introductory Level (Adult Amateur, Junior) through Intermediare I (Open, Amateur and Junior Division), and Intermediare II and Grand Prix (Open). The highest USEF test at each level will be ridden. OUT OF AREA exception: Due to the limited availablility of DASC rated shows in some parts of Southern California, DASC is allowing an exception for participation in the Championship Show. Competitors are completely responsible for submitting test scores from USEF rated shows to verify eligibility. Horse and Rider must be paid members at the time scores are earned. Out of area members may obtain qualifying scores from any USEF recognized show provided they reside more than 75 miles from enough DASC recognized show to qualify. Under this methodology of qualification, it is the responsibility of the member to submit qualifying scores to DASC for approval.